In the previous guide you can read how to build the form itself and all the field types' settings. In this guide we will focus on the form style area, with which you can set all the designs and styles of the form. 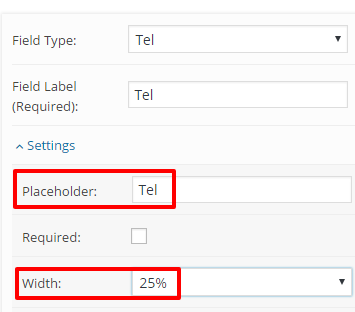 As part of the basic form design settings, we've added 5 prepared field sizes, allowing you to add fields in different sizes to specific areas in the site. For example: For a right sidebar it would be better to place small fields, however for a full width page you can place large fields to make it more eye-catching. 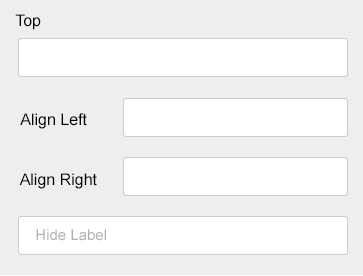 Creating a horizontal form with the Pojo Forms plugin is easy. The basic rule is that all fields (and button) width should sum up to 100%. For example, if your form consists of 3 fields and a Submit button, simply set each of the fields' (including the button's) width to 25%. In order to align the fields with the button, it's better to hide the field's title and insert it as a placeholder instead . You could configure this in each field's settings. So much for the form's style settings, in the following guide you can read about the sending options that are available in the forms.